Combining Genie II Pan Tilt with the Linear gives you the ultimate 3-Axis motion control tool. Set everything up on the App or use the onboard controls for shooting time-lapse, video, panorama and more! We’ve completely redesigned the Syrp Genie App from the ground up. Adjust the course and speed of your move with Genie II’s keyframing feature. Each axis can be set up and controlled independently for complex video and time-lapse movement. Control ISO, Aperture and Shutter Speed settings from the App! Whether it’s during a time-lapse or for setting up your video shot, keep your camera’s settings dialled in, perfect for the Slingshot and other filming situations. Simply attach the Quick Release plate (Patent Pending) to your Tripod Head and snap directly into the Linear drive for a secure attachment. Genie II Pan Tilt has also been designed to click straight into the Linear drive making it ultra stable, quick to set up and secure. We’ve included the ability to integrate the Genie Mini with the Linear Drive for a lower profile and more powerful 2 and 3 axis motion control setup providing a more cost-effective 3-Axis option. 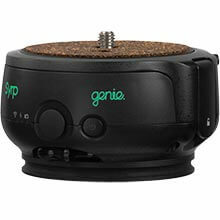 Go further afield, shot longer and swap batteries between Genie II devices. The Genie II Pan Tilt and Linear both use the same removable long-life lithium battery and you can stock up with extras in your kit as well. The Linear drive is an all-new supercharged version of the original Genie, with in-built joystick, Genie II Linear can attach to any slider, dolly or other accessory on the market to transform it into a motion control device. Combining Genie II Linear with Pan Tilt gives you the ultimate 3-Axis motion control tool. 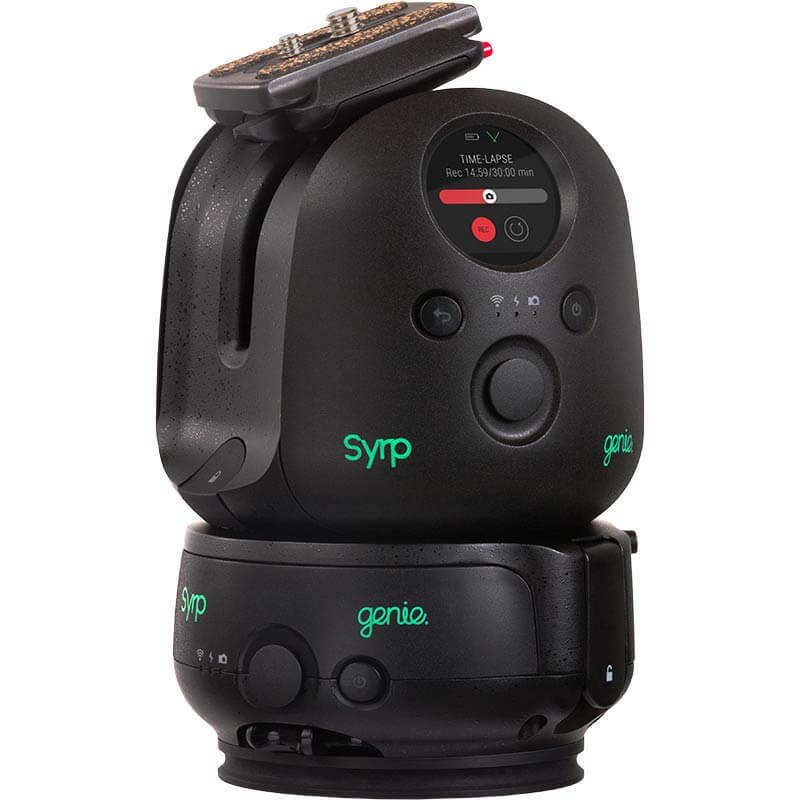 Set everything up on the App or use the on-board controls (Genie II Pan Tilt) for shooting time-lapse, video, panorama and more! 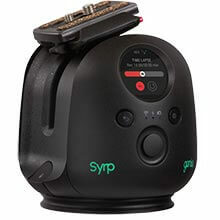 We’ve completely redesigned the Syrp Genie App from the ground up. Program complex movements with Genie II’s keyframing feature. Each axis can be setup and controlled independently for dynamic video and time-lapse movement. 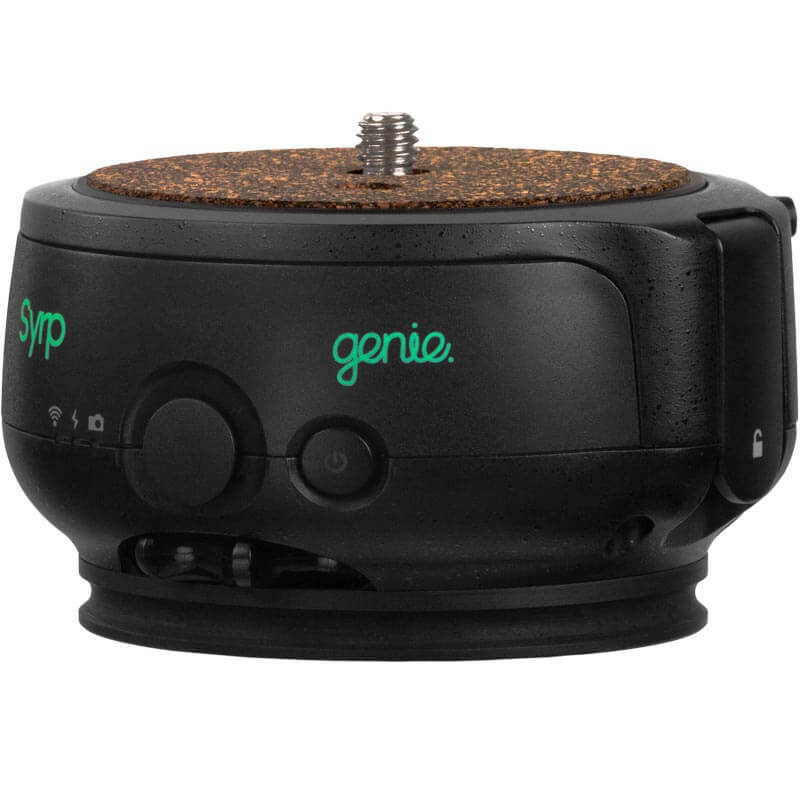 The Genie II Pan Tilt and Linear both use the same removable long-life lithium battery so you can always take extras when travelling further afield.